Examination of tooth surfaces: to check for decay with special dental instruments. 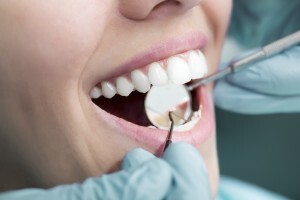 Scaling – is the removal of debris which has hardened onto the tooth. This hardened debris is called Calculus. Calculus is very rough and can irritate the gums and cause potential gum and bone loss and subsequent infection. Scaling can be done with hand instruments and/or an ultrasonic scaler, which helps to remove more stubborn build-up. Prophy or Polishing of the teeth – polishing removes the stains and smoothes the surface of the teeth so debris cannot stick to the teeth as easily. Fluoride – typically we give our patient a topical fluoride rinse at the end of their cleaning appointment. This fluoride treatment helps to make the teeth more resistant to cavities.